I just wanted to put the twitter feed on a page on the blog for you all. I somehow confused my name on twitter with my twitter handle. 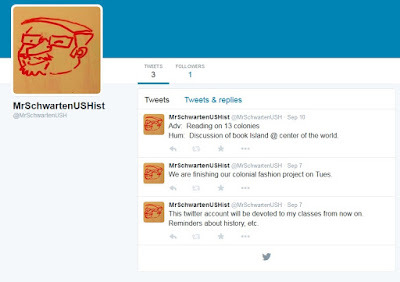 The twitter handle is MrSchwartenUSH. Twitter wouldn't let me keep typing in letters so I had to cut it off. 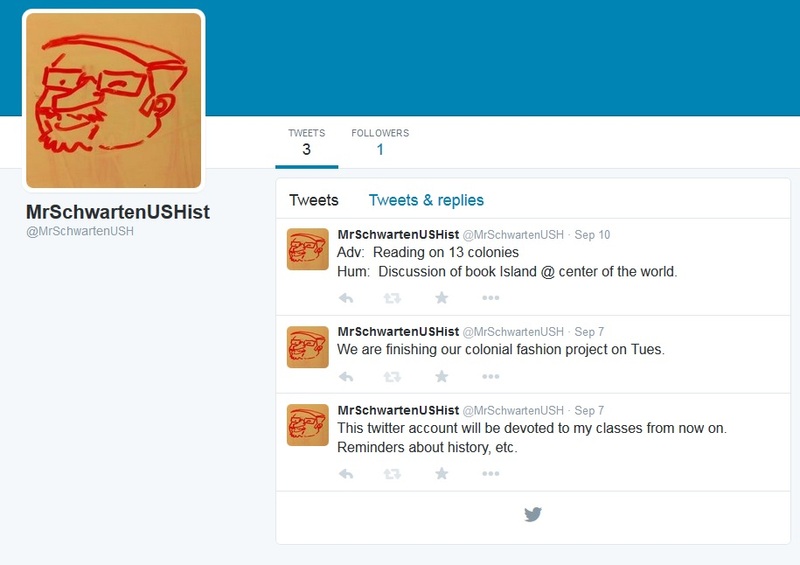 If you are looking for me and would like to follow along in the class here is the link to the page https://twitter.com/MrSchwartenUSH. This is what you should see on the page. So far it is pretty modest.